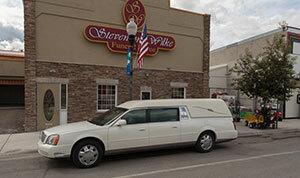 Stevenson Wilke Funeral Home in Townsend opened its doors in 2013. A complete renovation and remodel was completed the summer of 2013. Formerly known as the Connors Funeral Home, the chapel and overflow area can accomodate 80 people.